The Dodd-Frank Wall Street Reform and Consumer Protection Act was signed into law on July 21, 2010. Few in the appraisal industry adhered to appraisal standards prior to this law, and unfortunately, few understand now what true compliance means, and how to ensure the appraisal process is contributing to the lender’s success, rather than impeding it. Dodd-Frank simply addresses the Appraisal Independence Requirements (AIR) and provides guidance on the appraisal process as they relate to AIR. While this is a good starting point, it does not cover specific requirements as issued by the different regulatory agencies: the Federal Deposit Insurance Corporation (FDIC), National Credit Union Administration (NCUA), Office of the Comptroller of the Currency (OCC), Federal Housing Finance Agency (FHFA) and the newly-created Consumer Financial Protection Bureau (CFPB). Lenders are faced with a choice. Manage the new appraisal independence standards in-house, or choose an appraisal management company (AMC) to oversee that process. Whether it’s in-house or outsourced, all appraisals must adhere to a new, stricter set of guidelines, nationwide. Any appraisal worth its weight needs certain components in order to qualify as quality. Fortunately, the abovementioned regulatory agencies have issued a joint statement, known as the Interagency Appraisal and Evaluation Guidelines, which addresses the areas covered in Dodd-Frank as well as a considerable amount that isn’t—what is actually the core substance of appraisal compliance. The curious element is that the agencies have made known in the Guidelines that their appraisal regulations and guidance have been in place since the early 1990s. The Interagency Guidelines provide the necessary information and guidance to manage and maintain a bank’s safe and sound banking practices. Additionally, the Guidelines provide insight for an institution to manage their collateral valuation program. Safe and sound banking practices and the collateral valuation program are both integral components of an institution’s mortgage operations. In order to maintain worthy credit underwriting processes, the collateral valuation program must be isolated from the institution’s loan production staff. This can be tricky for some institutions, especially those smaller, community banks that have fewer employees and resources to allocate to very specific compliance requirements. For those lenders looking for an alternative to in-house appraisal independence, this document outlines the procedure for selecting a third-party management partner, and for the evaluation of the content of an appraisal report. No matter the provider or solution chosen, the lender is ultimately responsible for the actions of the third-party and must ensure the partner is contributing to their overall success and compliance, rather than obstructing it. These measures have taken the industry one step further in attaining the levels of compliance that it needs to be, but for many lenders, appraisers and AMCs, it’s not quite enough. There are additional components of a quality appraisal that the industry is beginning to recognize as the full, holistic approach to the process. Lenders want a solution that satisfies more than just Dodd-Frank; lenders need a solution that satisfy their safe and sound banking practices as well—the whole picture. There are three additional standards to consider: Reasonable and customary fees, full disclosure/100 percent transparency and appraiser experience. The Interagency Guidelines recommend compensating appraisers according to reasonable and customary fees in the specific area or market of the service. A higher paid appraiser will result in a higher quality appraisal report; a win-win for the lender since the cost is passed directly on to the borrower. 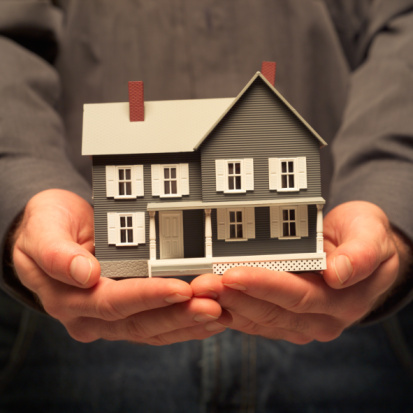 Appraisers have the option of reporting the fee on the appraisal but are not required to do so. The disclosure of the fee promotes transparency and the Federal Housing Administration (FHA) believes that borrowers and other parties should be aware of the fee paid for the appraisal in order to avoid fraud or phony values. This would let the lender know what the AMC is receiving from the appraiser and what they are paying out. Not only does this level the playing field for both appraisers and AMCs, but adds numerous benefits to the lenders. This fair, competitive approach sets some AMCs apart from others, and has the potential to set some lenders apart from their peers. When an appraisal report is strong and in full compliance, that’s less stress the lender must field, while cutting costs and improving overall compliance standing. There is no need to satisfy only a portion of the overall process by complying solely with Dodd-Frank, when a lender can achieve full compliance with safe and sound banking practices, and improve the bottom line. Frank Danna is president and chief executive officer of Appraisal Logistics, a provider of compliance risk management for appraisal independence. He may be reached by phone at (866) 991-2574, ext. 222 or e-mail fddanna@GoToALS.com.